Will Australia back-slide on its illegal logging bill? Illegal logging is a serious and very real problem in the tropics, promoting forest loss and damage and robbing developing nations of up to US$30 billion in direly needed revenues each year. Illegal loggers also have an unfair advantage over legitimate timber producers. It's for such reasons that it would be absurd for Australia to roll back or weaken its anti-logging bill. 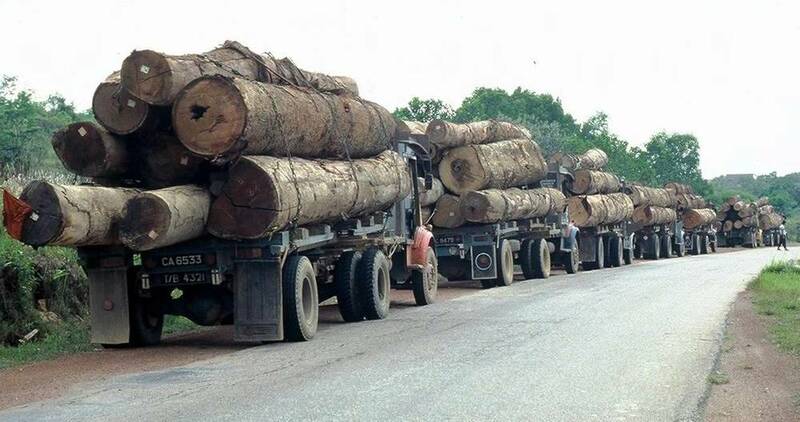 Logging trucks in Borneo--forests are falling fast. After a great deal of debate and research, the previous Australian Government finally passed an illegal logging bill in March 2013. ALERT member Bill Laurance played an active role in this debate, briefing the Australian Senate and writing extensively about the importance of the bill. Now the new Australian Government, led by the conservative Liberal-National Party Coalition under Prime Minister Tony Abbott, is considering repealing the hard-won bill, according to World Growth International, a pro-industry group that lobbies for large international timber producers. The LNP has declared a wide-ranging war on what it calls "red and green tape". Nobody likes excess bureaucracy, but the illegal-logging bill is playing an important role in helping to reduce illegal logging, along with comparable legislation in the US (the Lacey Act) and Europe (the FLEGT initiative). Repealing or weakening it would be astonishingly unwise. If the LNP presses ahead with this ill-advised tack, Australian and international scientists must be ready to speak up forcefully and often.